One More Look by Umage is an airy light mirror with a minimalist Scandinavian character and additional functions that meet the daily needs of urban life. 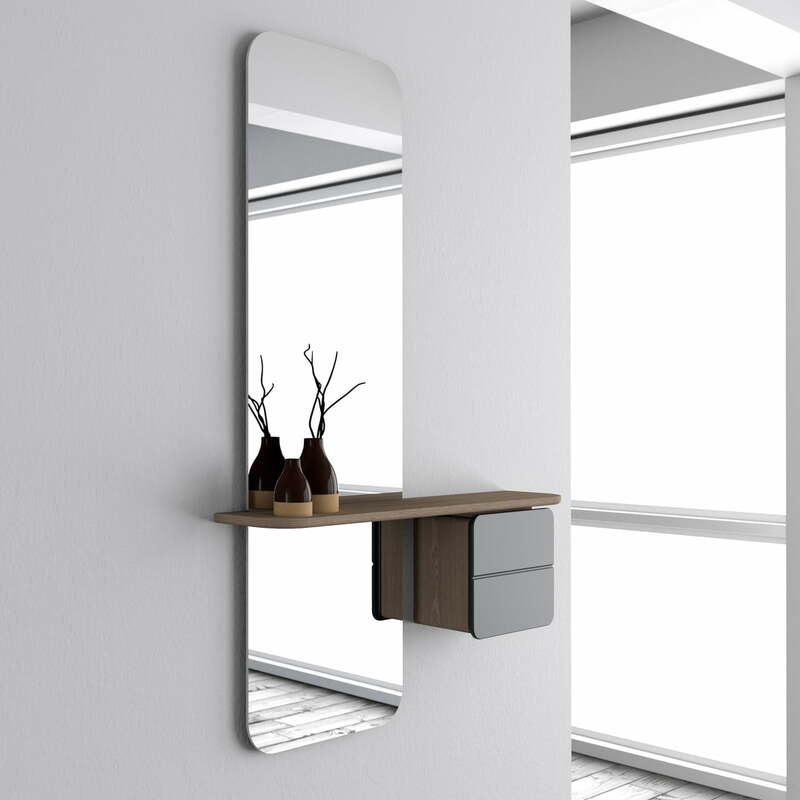 Designed to be mounted on the wall, the elegant full-length mirror features a thin, delicate shelf on which a small cabinet is fixed. 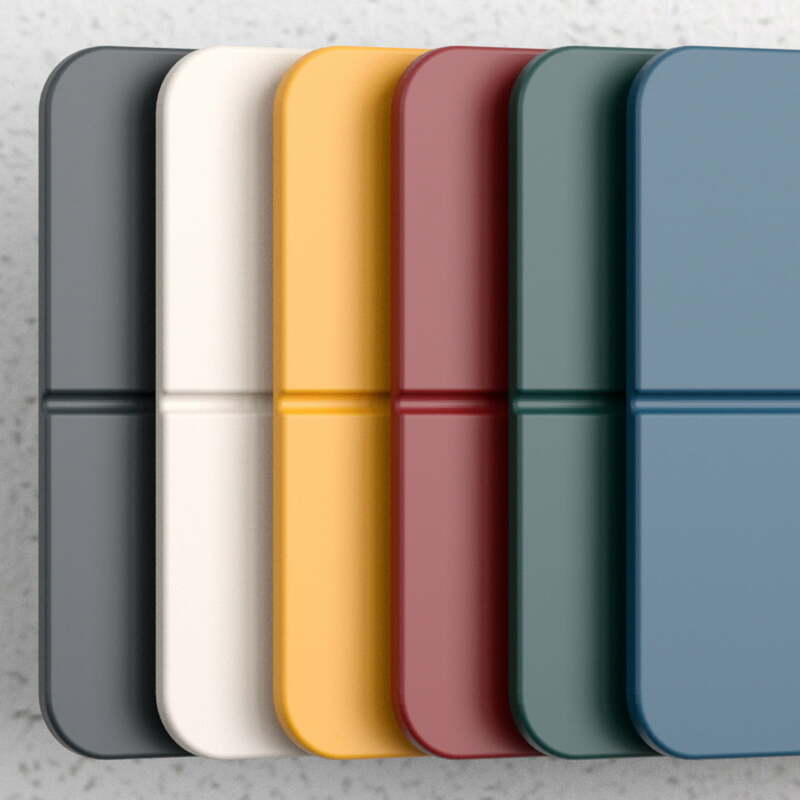 The convenient storage space also has an additional removable hand mirror, to check your hair before leaving the house. 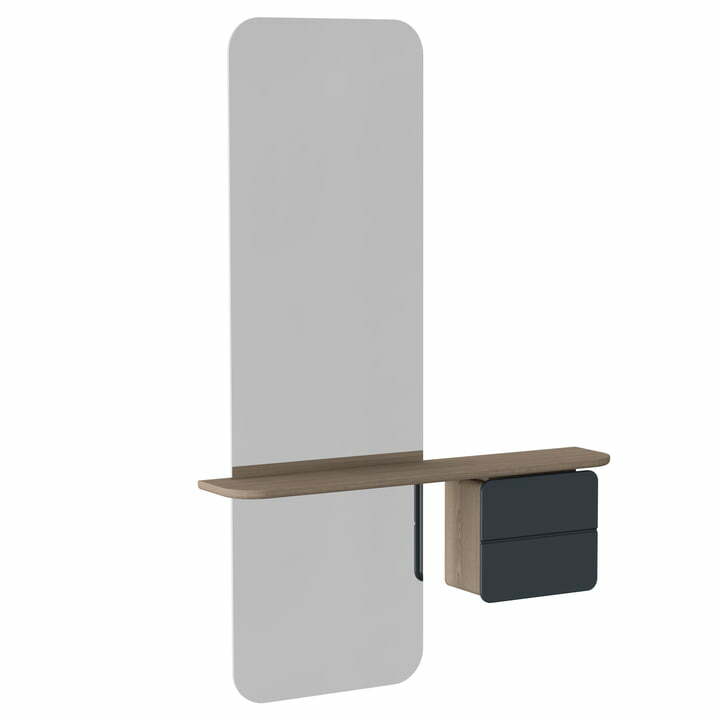 The discreet frame as well as the shelf of the One More Look mirror consist of rounded corners that contribute to its soft, organic expression. The solid wood shelf and the carefully shaped cabinets are available in various colours, complementing the smooth and flawless silhouette. 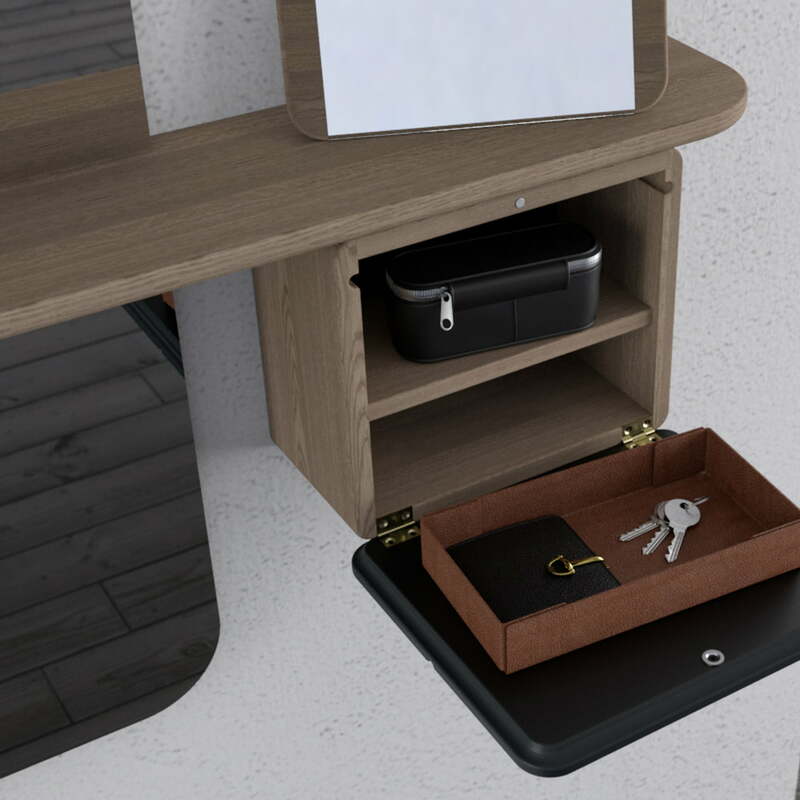 Smaller items, such as keys, makeup, sunglasses, bicycle lights and coins can be stowed away in the cabinet or placed on the shelf. 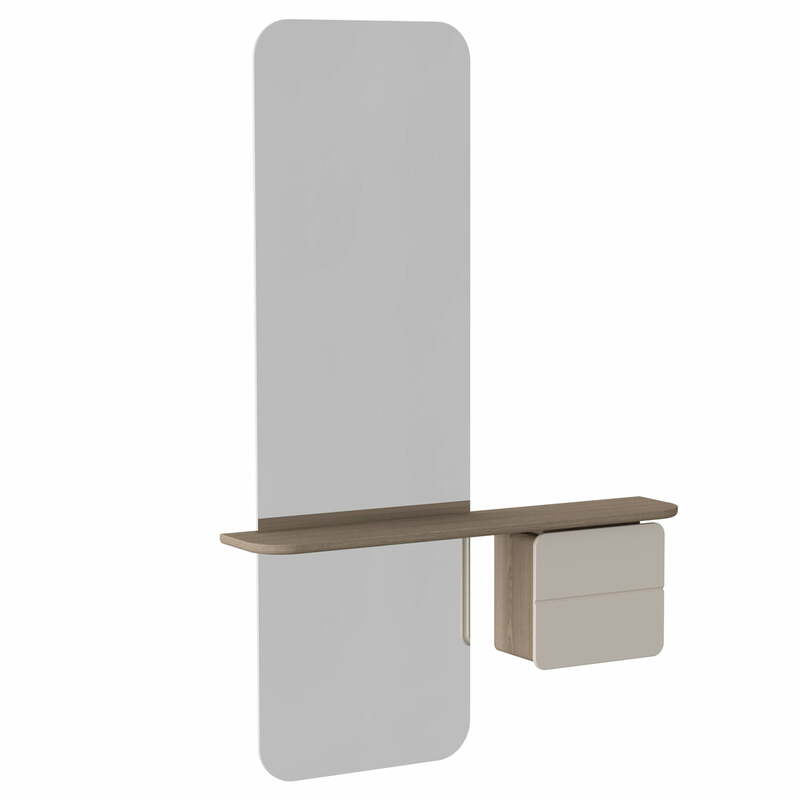 Needing very little space, the One More Look mirror designed by Jonas Søndergaard can be set up in hallways of all sizes as well as in the bedroom.